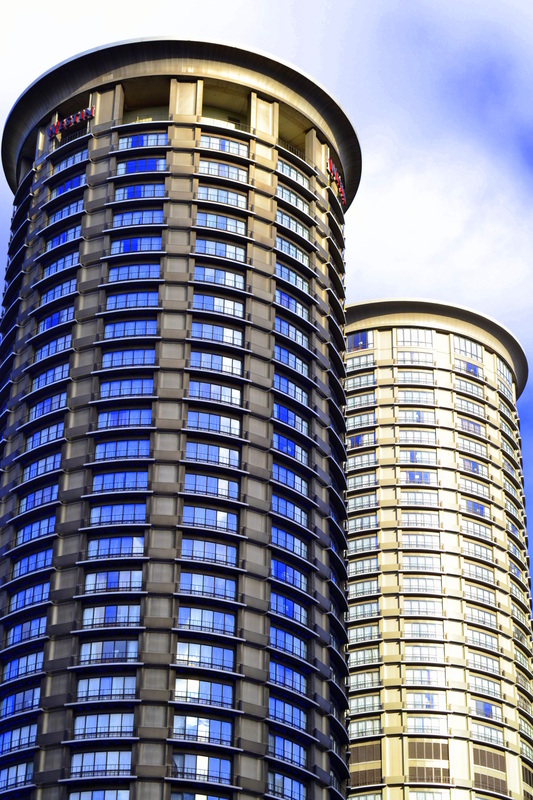 The twin towers of the Westin Seattle are 47 and 40 stories high, respectively, and were constructed between 1969 and 1982. Fun fact: The towers were featured on the cover of the Modest Mouse album, The Lonesome Crowded West. I’m dying to go to Seattle! I liked this informative blog post! Really interesting! Hi Julie, thanks for dropping by to leave a comment. I checked out your site–you’ve posted some really lovely photos! I look forward to seeing future posts. Hummm… reminds me of something in relation to our good friend George, lol. Beautiful pic’s dear. You have the eye! Ha! I didn’t see it until you mentioned it. Funny! Beautiful photo, Gina! Again I find you and I are on the same “Seattle wavelength” this week. I just shared via social media a funny yet accurate tale about Seattle-ites through the eyes of a friend who lives there. Did you travel to WA state recently? It seems like a fabulous place to visit – I hope to go sometime soon too! To answer your question, I was in the Pacific Northwest a few months ago (in June). My trip was far too brief; I’d love to go back again soon. Happy Thanksgiving to you and Brian!